With over 200 events spread out over London, the 10th Design Festival reflects the widest range of design interests possible. We did pay through the nose for a gin & tonic, but the staggering wealth of talent on show demanded some overpriced refreshment. Here are a few of our favourite pieces from the events we attended, it was hard narrowing them down to so few. It's worth remembering that even though these pieces are produced for commercial purposes, their origins are very much bespoke. This intricate piece from John Rook is made from purpleheart (Peltogyne porphyrocardia) and rippled sycamore (Acer pseudoplatanus). Its lift-up central panel and push-open sliding trays are elements that contribute to the 'K' desk's overall attention-to-detail. The notes of Han Weger and Finn Juhl - makers that Glasgow-based bespoke furniture maker Galvin cites as inspirations behind this piece - are immediately recognisable. Incorporating over five different joining techniques and hand-carved detail, there is not one single 90° angle in this chair, which is certainly a labour of love. This design duo was founded in Copenhagen in 2000. 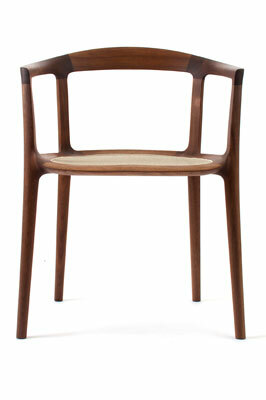 The 'DC10' chair has become Inoda + Sveje's trademark. Its surface is sculptured all the way round in one continuous curve. 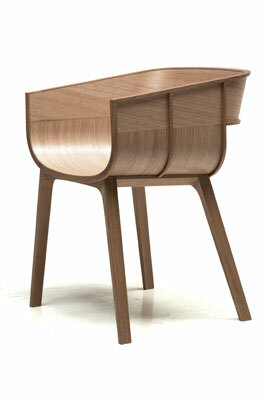 Inoda + Sveje describe this chair as a milestone of their design ethos. We love its simplicity and fusion of new and old. Made from plywood and solid oak (Quercus robur) with external supporting ribs, Benjamin exhibited a deconstructed version of this 'Maritime' chair at Design Junction to show how its basic components are assembled. 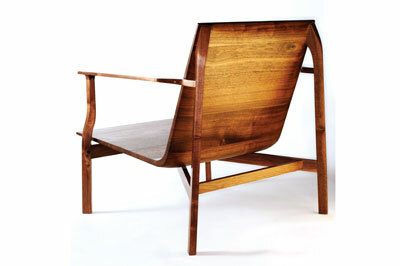 Both functional and beautiful, the chair is a masterpiece of modern design. 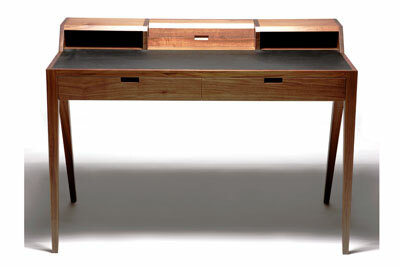 This writing desk was debuted at Design Junction. Made from American black walnut (Juglans nigra) with a wax oil finish this piece is both stylish and practical. 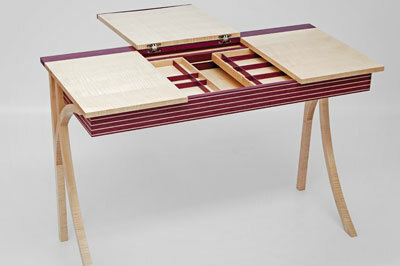 It has a number of drawers and storage recesses to stash your pens and papers and will light up a room with its understated elegance and subtle craftsmanship. 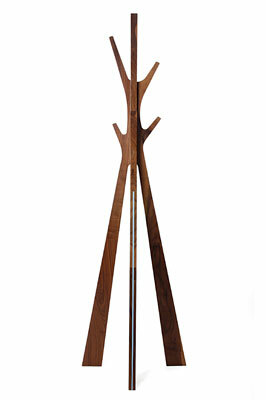 This coat stand from Trett Design - the British studio founded by Neil Trett, producing hand crafted, bespoke pieces - displays a hat trick of admirable qualities. It is modern, beautifully designed and functional. Made from solid walnut (Juglans regia) with a hard-wearing black oil finish, combined with Trett Design's 'Time' chair and 'Place' bedside table, this collection is an impressive and stylish nod to contemporary and classic design.